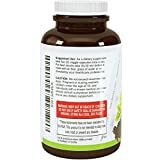 HIGH POTENCY LIVER CLEANSING PILLS - The liver is the most important metabolic and detoxifying organ of your body. 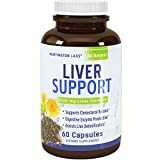 LiverPlast by Huntington Labs aims to nourish your liver with essential nutrients and flush away toxins by completing your healthy diet plan with our liver supplement formulated with antioxidant-rich herbs and powerful enzymes that can boost liver functions. 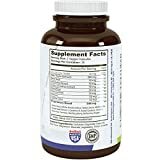 PURE BLEND OF HERBS AND ENZYMES - Complete with plant-based detoxifiers such as of Milk Thistle, Dandelion Root, and Artichoke extracts, our formula supports revitalizing and strengthening the liver. It also supports enzymatic detoxification process as it is infused with Lipase and Protease which are essential for liver health. SUPPORTS OVERALL HEALTH -. LiverPlast effectively optimizes your body's natural waste system's functions. Combined with healthy habits and wholesome food options, you can experience overall well-being the natural way. 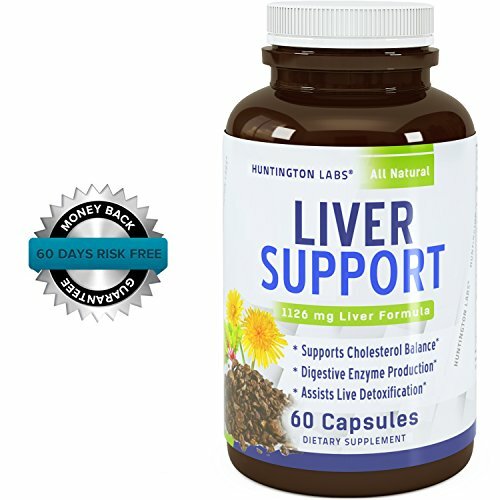 HIGH POTENCY LIVER CLEANSING PILLS — The liver is the most important metabolic and detoxifying organ of your body. 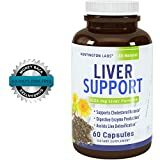 LiverPlast by Huntington Labs aims to nourish your liver with essential nutrients and flush away toxins by completing your healthy diet plan with our liver supplement formulated with antioxidant-rich herbs and powerful enzymes that can boost liver functions. 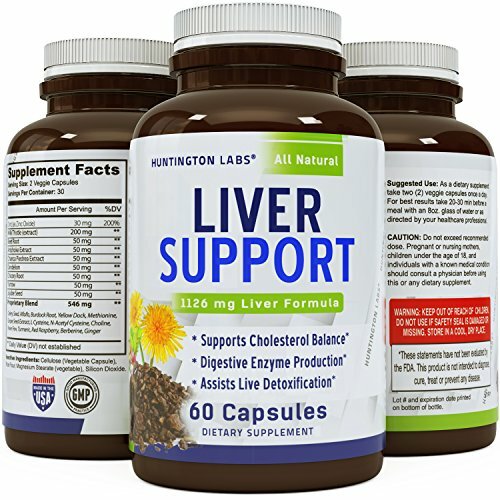 PURE BLEND OF HERBS AND ENZYMES — Complete with plant-based detoxifiers such as of Milk Thistle, Dandelion Root, and Artichoke extracts, our formula supports revitalizing and strengthening the liver. It also supports enzymatic detoxification process as it is infused with Lipase and Protease which are essential for liver health. OPTIMIZES DIGESTIVE SYSTEM FUNCTIONS — Our supplement supports healthy liver and gallbladder functions. An improved liver and gallbladder ensures that your body produces enzymes and fluids that help digest food and absorb essential nutrients. 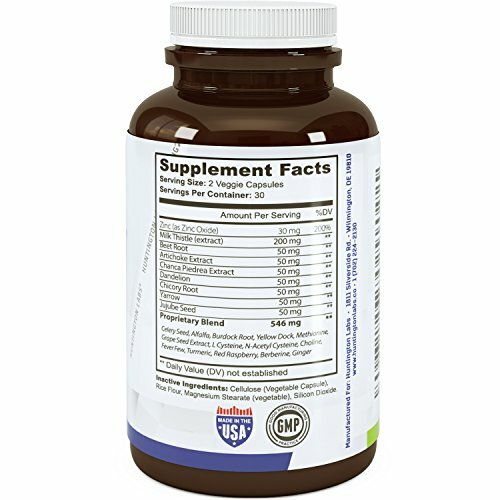 Include our all-natural supplement to your daily diet and experience holistic health. USA MADE — Our supplements are made in a cGMP facility located right here in the United States. 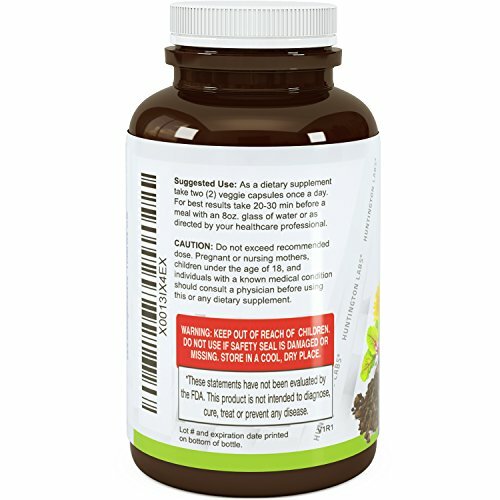 Our liver cleanse formula is encased in vegetable capsules for maximum absorption and effect.